An exhibition will be held at Kendal museum to celebrate the 300th anniversary of modern Freemasonry this year. The exhibition, called Into The Light, will run from 1st July to 30th September. 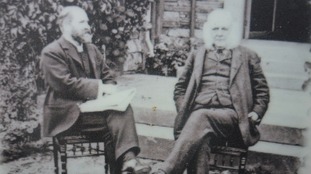 A number of prominent members of society in Cumbria are known to have been part of the Freemasons, including William Heelis, Beatrix Potter's husband, and Canon Hardwicke Drummond Rawnsley, co-founder of the National Trust, Church of England clergyman and local politician. Organisers are also seeking descendants of freemasons in the region, including of Robert Hind, born in Kendal in 1766 who worked as a weaver. He joined Union Lodge number 129, Kendal in 1802. The museum will be open from 10am to 4pm on Tuesday, Wednesday, Thursday and Saturday. Freemasons will also be in attendance to talk about the organisation from 11am to 3pm every Saturday from 3rd June onwards.